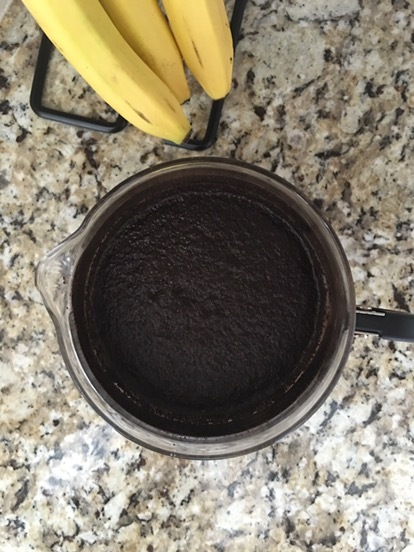 Here is the recipe we use; it makes a coffee concentrate that you might (some people enjoy it very strong) need to dilute with water when it comes time to drink it. It’s easier and more efficient, space-wise, to make a concentrate so you don’t have to keep a huge pitcher in your fridge. You just keep this small jar and pour your cup one-third full with coffee, then fill the rest with water and ice when you’re ready. 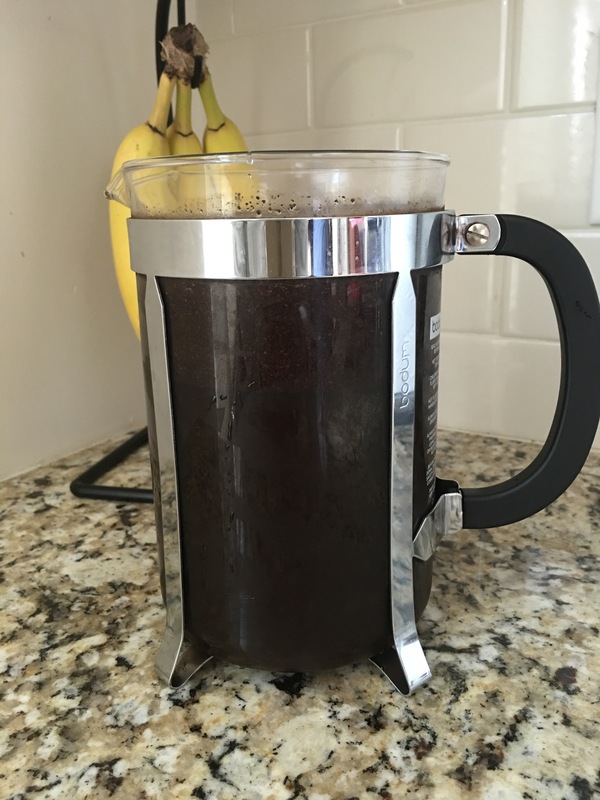 Place coffee into the french press and pour water over top. Let sit for at least 12 to 24 hours at room temperature. After the allotted time press the French press down. Move the cold brew into the refrigerator.